We were visited at the Carnegie Building on November 7th by UNICEF to explore 3 badges that have been chosen for this year. They are: Health and Wellbeing, Safe and Secure, Equal and Included. The children and young people took part in a range of activities as they gave their opinions and views on whether Newcastle is a child friendly city, and how it can improve? 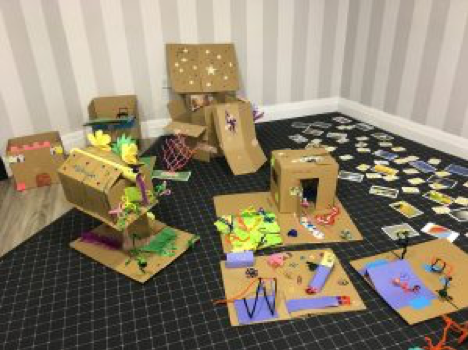 On the 5th of December, Children and young people attended the planning day with Success4All at St James Park alongside children from Primary and Secondary schools in Newcastle. They spent the morning to know each other as well as a re-cap of the work that was put forward from the discovery phase. Later we were joined by the adults who make up Newcastle’s Child friendly city board who the children were split into teams with to tackle one badge at a time. 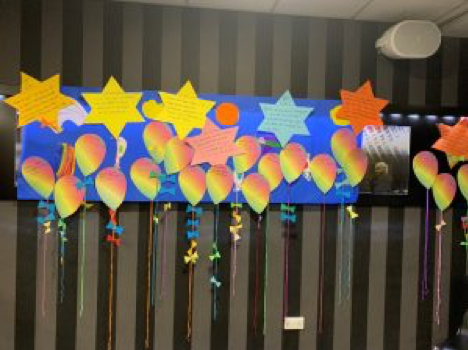 They wrote issues from each badge onto stars, then together discussed ways to solve them, which were written onto balloons. The day was filled with rapid talking and passionate discussions between all as equals. The children and young people left feeling valued and hopeful for the city they are about to inherit.